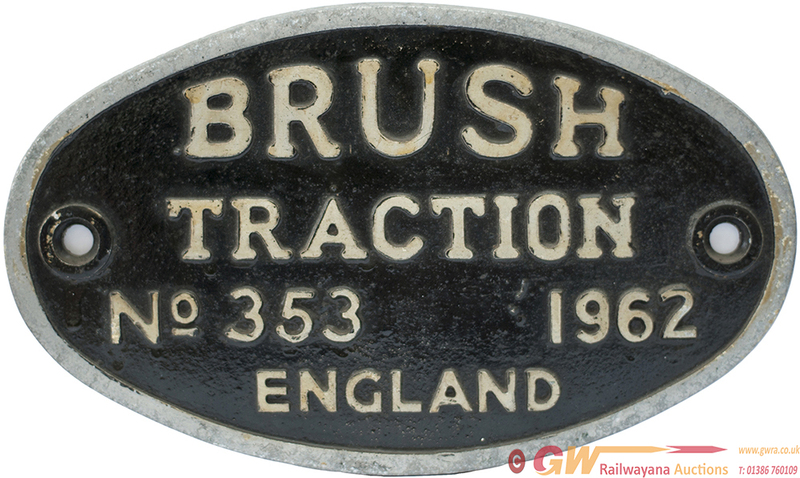 Diesel worksplate oval cast aluminium BRUSH TRACTION No353 1962 ENGLAND EX BR CLASS 47 47412, D1511. Initially allocated to 34G FINSBURY PARK and withdrawn in May 1987 from GATESHEAD. Face restored and rear lightly cleaned.